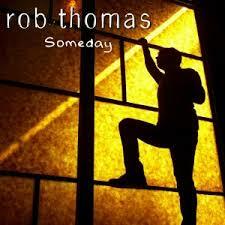 Rob Thomas has the same vibe as Maroon 5. He’s trying to come across as a respected member of the creative community, but underneath lies the evil, robotic heart of another X Factor contestant. Singing with an overly-emotive yet unconvincing vibrato voice, and trading in all the most ubiquitous romantic clichés, he turns the epic claims of Someday into the yawn-inducing exclamations of a man with very little new, interesting or noteworthy to offer. At least you get the entertainment of the faux-drama, and genuine comedy with X-Factor…here I’m really struggling to find anything entertaining at all.